Did you know that we provide confidential shredding services Galway to a number of organisations on a weekly basis. From large multinationals to small local businesses, no customer is too big or too small. Whether you require On Site or Off Site, Regular or On Demand, our services are tailored to meet your needs. As we service Galway weekly, we can arrange a collection date and time that is suited to you. Is it just Galway city? No we provide regular Galway shredding services all over both city and county. No place is too far. 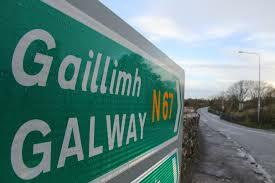 We also do not charge for travel so you don’t have to worry where in Galway you are located. We provide the bags, lockers or bins free as required. You arrange the collection date with one of our sales team. A trained and Garda vetted member of our team will arrive on the agreed date. The bags, lockers or bins will be emptied and destroyed On Site or brought back to our destruction facility and destroyed Off Site. A Certificate of Destruction will then be issued along with an invoice. We charge by unit, weight or even by time if desired. We can also provide a free On Site Consultation for those who cannot quantify the amount required for shredding. When exactly are we in Galway? Currently, we provide On Site and Off Site Galway shredding services every Friday. By giving just a day or two notice, we can guarantee you a professional and confidential shredding service. For more information on all our Galway shredding services please call today on 1850 491 333 for a quote with no obligation.